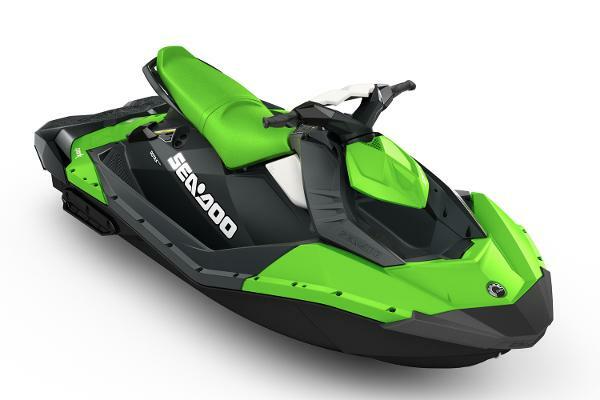 2016 Sea-Doo Spark 3up 900 HO ACE IBR Colors Available: Blueberry, Chili Pepper, Key Lime, Pineapple, VanillaThe Sea-Doo Spark is playful and easy-to-ride. It boasts the most fuel-efficient engine available and is light enough for many popular compact sedans to tow. Plus, with so many colour and customization options, creating the perfect watercraft for your family is now easier than ever.ADAPT TO YOUR RIDING STYLEITC - SPORT MODE / TOURING MODE: iTC (Intelligent Throttle Control) allows different riding modes like the Sport mode that is available with the Rotax 900 HO ACE engine. Touring mode is available on all models.ADD A LITTLE ATTITUDEATTITUDE GRAPHICS & ACCESSORIES: Add a custom Attitude Graphic Kit to make your Sea-Doo SPARK even more distinctive. It’s a unique customization option nobody else offers. You can also choose from a series of clothing and accessories to further personalize your dream ride.DISTINCTIVE DESIGNEXOSKEL ARCHITECTURE: Minimalist architecture that keeps only the essential structural parts in the front section. 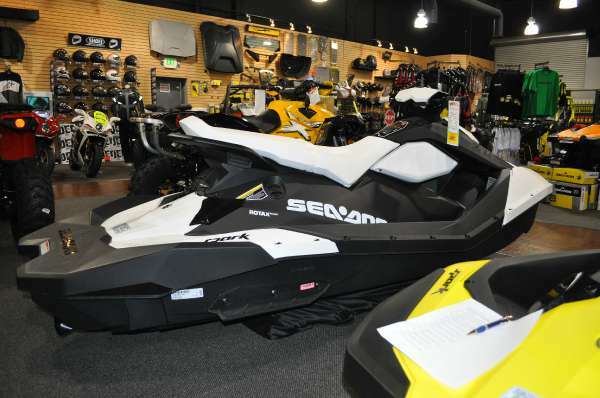 It reduces weight while creating a strong, modern and cutting-edge design that defines the unique and playful nature of the Sea-Doo SPARK.ENDLESS FUN FOR EVERYONESEATING FOR 2 OR 3: Whether you like to cruise in pairs or hit the water in threes, the Sea-Doo SPARK 2up and Sea-Doo SPARK 3up have got you covered.FAST AND FUEL-EFFICIENTROTAX 900 ACE / 900 HO ACE ENGINES: The Sea-Doo SPARK Rotax 900 ACE engine is the most fuel-efficient on the market, using just 1.94 US gallons (7.34 L) of fuel per hour. The higher-horsepower, faster-accelerating Rotax 900 HO ACE uses just 2.4 US gallons (9 L) per hour.FIND YOUR FLAVOR5 VIBRANT COLORS: Splash your SPARK with Blueberry, Chili Pepper, Key Lime, Vanilla or Pineapple.LIGHTWEIGHT AND ECO-FRIENDLYPOLYTEC MATERIAL: Exclusive to Sea-Doo, this low-density, high-impact composite material provides just the right combination of elasticity of polypropylene to absorb impact and rigidity of long fiberglass to ensure structural integrity.